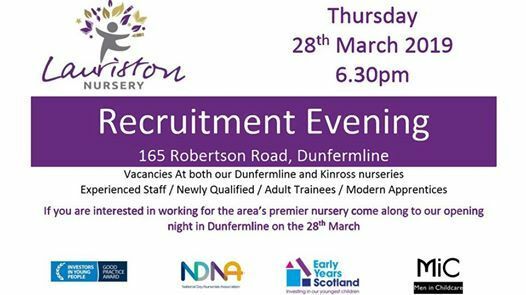 Due to ongoing expansion and increase in demand, Lauriston Nursery are opening up the doors for a recruitment night on Thursday 28th March at 6.30pm. 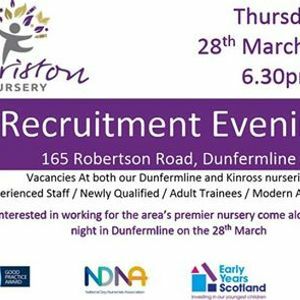 Staff and management will be available to help discuss how you could benefit in a career in early years education and child care at the area’s premier nursery. Positions for all level of candidates are available, from experienced staff / newly qualified staff / adult trainees / modern apprentices.